Clementines are small oranges that are seedless, easy to peel, and—when well-grown and ripe—perfectly sweet to eat, too. They're a favorite citrus snack for winter and well-known by the kid-friendly names "cuties" and "sweeties." Like a good stinky Muenster cheese or properly made crêpe, clementines used to be something one had to go to Europe to find. Their arrival at markets there is heralded with such high spirits and good cheer that it warms the gray, bone-chilling air. The treasure of small gleaming oranges is a delicious antidote to winter. The ritual of buying and eating these bright, sunny fruits and letting their sweet, floral aroma fill the house is one worth repeating every winter. You can choose between clementines proper or their like-minded tiny orange brethren such as satsumas or Ojai pixies. Consider keeping a big bowl of clementines in the center of the dining room table or on the kitchen counter for easy snacking from morning to night. 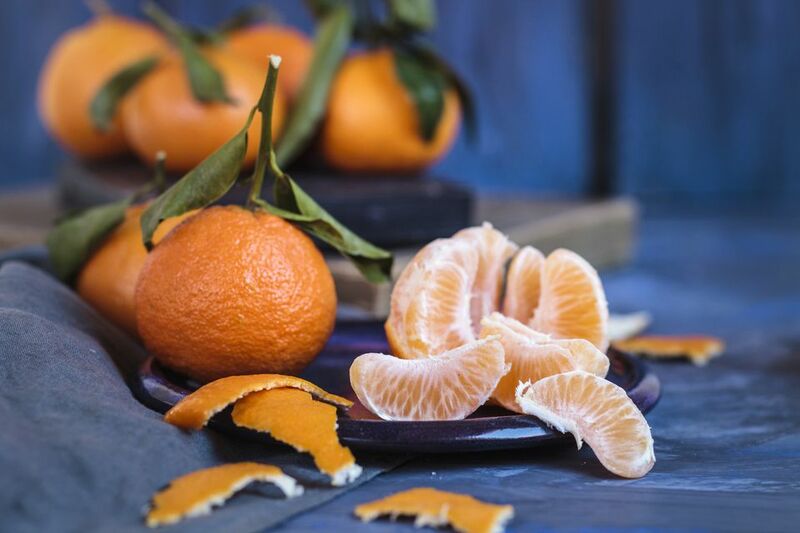 Not only are clementines easy to eat, but they are also fundamentally cheery little fruits. The peel almost slips off—not as easy as a satsuma's peel, but easier than any other citrus that comes to mind. This, along with the sweet taste, is one reason why they're such a hit with children. Very little if any of the pith clings to the fruit, and the membrane surrounding each section is delicate enough to be almost unnoticeable. Seeds are few and far between—many are even completely seedless. You'll find these fruits to be fabulously portable and a sweet, refreshing snack in the middle of the day.​​​ Pack ​them in lunches or stick one in your purse or jacket pocket before heading out and it will be ready whenever you need a quick bite. In the U.S., clementines are often marketed as "cuties" or "sweeties." You will find them sold in small crates or boxes, especially around Christmas time. Their association with the holiday season is a reasonable one since they are in season from late November into January. Spain still grows scads of clementines, but there are substantial groves in California and Texas as well. Store clementines in a cool place, but don't refrigerate them. As with all citrus, don't store clementines in plastic, either. It will make them sweat and spoil much quicker than they would when just left out to breathe. Clementines last for several weeks after they're picked, if they are kept relatively cool and out of too much direct sunlight. If you tire of just peeling and eating clementines out of hand, there are many great uses for them in the kitchen. Use them as a substitute for other oranges or add clementine sections to tossed salads. You can also add them to a semifreddo or bake up a clementine cake. They would be a delicious addition to a beet salad as well. Another option is to keep things fruity: slice up the clementines, spritz them with lemon juice and sprinkle with chopped mint for an easy fruit salad. Add a few pomegranate seeds—also in season during the winter—for a pop of color, if you like.